At European Springs we feel it paramount to keep on top of all areas of innovation when it comes to engineering in order to be able to realise the potential in our own particular engineering and manufacturing. Through our manufacturing in the field of springs we become aware of numerous fascinating technological advances in similar fields that are sometimes astounding. Continuing our series relating to objects which couldn&apos;t be made prior to the dawning of 3D printing – which we formally used to analyse the implication in relation to the development of body parts – we have decided to take a look at a much different area of 3D printing development; transport. When it comes to air travel a lot of the focus is either on speed or on making the transport lighter. In making the transport lighter the implications on fuel usage are that it becomes greener and more energy efficient. According to Airbus, the use of 3D printed materials can serve to cut the overall weight of the transport by a staggering 55%. 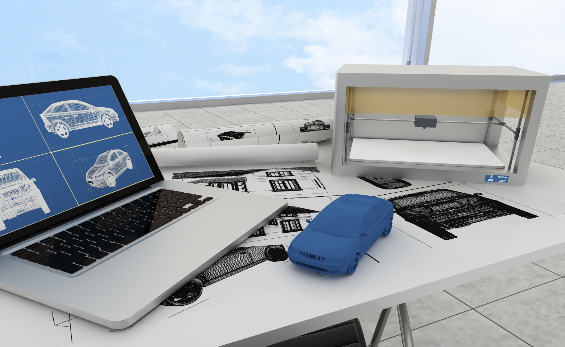 The polymers used in the 3D printouts can bare a great strength to weight ration, meaning that whilst the potential for cost reduction and ease of production is extremely prevalent, they needn&apos;t sacrifice the structural integrity of the build. Equally, by replacing seemingly innocuous parts with lighter yet ultimately stronger materials, such as the arm rest, the overall weight of the aeroplane would drop significantly. Advances in the use of 3D printing allow users to engineer specific and ergonomic moulds. With relation to car travel, this can have implications on numerous areas of the car, particularly relating to the comfort of the driver. Ford have been working with Cabon3D, California, to design and engineer in a way which is becoming increasingly iterative, due to prototyping. Jonathan Jaglom, CEO of 3D printer manufacturer MakerBot states that, 3D printing bridges the gap between the digital and the physical world, enabling even the most obscure of shapes and designs become a reality through simply programming said-design into a computer. It&apos;s great to see the potential benefits of 3D printing being used so widely, not just from land travel to air travel, but from transport to the human body. There is seemingly so much that can be done with these wonderful inventions, that&apos;s it&apos;s fantastic to see so many people harnessing the power; particularly in a way that can make a whole range of processes greener. At European Springs we embrace innovation and are very much looking forward to seeing where these fellow forward-thinkers take the future of manufacturing and engineering. If you would like to speak to one of our friendly team of forward-thinkers, and discuss our innovative processes and services, then please don&apos;t hesitate to contact us on 0208 663 1800 where we will be eagerly awaiting your call.